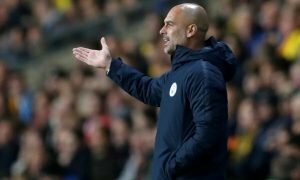 Barcelona ready to beat Man City to £28m midfielder | The Transfer Tavern | Where football transfer rumours fly or die! 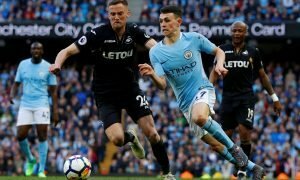 Manchester City fans are beginning to sweat for one of their top transfer targets, after reports being discussed in the Transfer Tavern indicated they face major competition for the player’s services. Talksport state that both Manchester City and Bayern Munich have scouted Roma playmaker Miralim Pjanic but Barcelona’s arrival in the market could hand fresh blows to each club. Gazzetta Dello Sport says that the Catalan side are readying a huge £28m bid for Pjanic next summer, which may blow City and Bayern out of the running. The 25-year-old Bosnian international has quickly become one of the most coveted players in European football following his performances with his national side and Serie A title hopefuls Roma. Each interested party could offer something more than the Italian outfit though, as they’re all established European powerhouses and favourites for their respective leagues- a stark contrast to Pjanic’s current Rome outfit. Roma saw huge pain inflicted upon them last night as Barcelona put six past them, putting their chances of progressing in the Champions League in doubt, whilst the side are still lacking in a domestic title race despite Juventus’ awful start to the season. With Inter Milan’s revival adding more competitiveness to the Italian league, and Fiorentina also flying high, Roma face a stern test to even qualify for next season’s Champions League- which could play into Barcelona’s hands. Is Miralim Pjanic the ideal signing to bolster Manchester City’s midfield? Can he replace Yaya Toure? Let us know in the comments below!